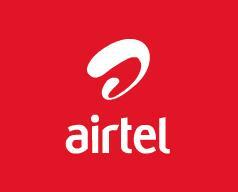 Airtel has dedicated its support to the 108 Emergency Services run by GVK EMRI and Govt. of Chhattisgarh. Airtel will be sending awareness SMSs and business card of the phone number ‘1-0-8’ saved as ‘108 Emergency Services’ to all the Airtel customers in districts where 108 is operational. ‘108 Emergency Services’, currently providing Emergency Management Services through its state-of-the-art Emergency Response Centre established in Raipur, Chhattisgarh. The 24 x 7, absolutely free of cost service is currently available in two districts of Chhattisgarh-Raipur and Bastar. It runs under a PPP model, jointly by GVK EMRI and Govt. of Chhattisgarh. By dialing ‘108’, callers can avail Ambulance, Police and Fire support in a single call. This never before service had made the availability of emergency service in the state of Chhattisgarh highly accessible. To make the people aware about this service, Airtel has already sent SMSs to Airtel customers in Raipur and Bastar Districts. SHAME still nobody in TT nt intrested in public utilites and facilities ..